Welcome to Post-weekend Poetry and the thirtieth poem in this series. This week’s piece welcomes back Linda Eve Diamond and I thought what better topic on what should be a hot balmy summer’s day (she says, it’s gloomy and raining) than snow. 🙂 This poem is taken from Linda’s collection The Human Experience (2007). on a street of puffy clouds. Linda Eve Diamond is the author of several books in the areas of business, education, self-help and poetry. Her work (and play) earned two awards from the International Listening Association and a Coffee House Press Poetry Award. Her poetry and essays have been published in journals, anthologies and online. 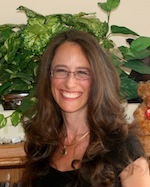 Her websites are: http://LindaEveDiamond.com, http://ListenersUnite.com, http://www.thebeautyofpicturebooks.com. 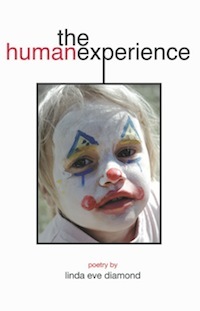 Her collection ‘The Human Experience’ is available from Amazon and Barnes & Noble. The blog interviews will return as normal tomorrow with thriller / crime author Jacqui Rose – the four hundred and thirty-third of my blog interviews with novelists, poets, short story authors, bloggers, biographers, agents, publishers and more. A list of interviewees (blogged and scheduled) can be found here. If you like what you read, please do go and investigate further. And I enjoy hearing from readers of my blog; do either leave a comment on the relevant interview (the interviewees love to hear from you too!) and / or email me.